Back in August I posted a recipe for apple walnut pancakes. At that time the Blonde Duck from aduckinherpond.com posted a comment that asked me what was next – pumpkin pancakes. When I read her comment I thought pumpkin pancakes, now really is there even a thing like that. I had never eaten them and never even heard of such a thing. 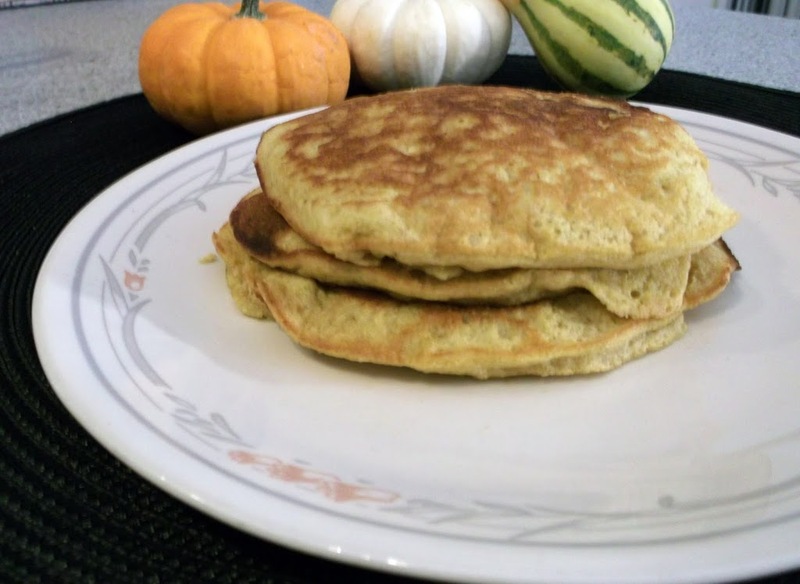 I thought that some day that I would look for a recipe for these so called pumpkin pancakes. The thought of these always stayed in the back of mind. 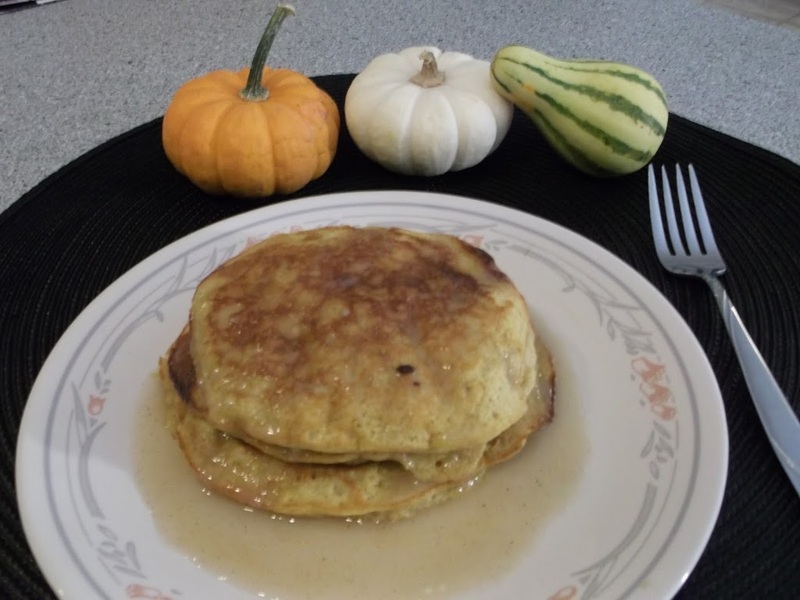 And now that it is the pumpkin season I became quite intrigued by the thought of pumpkin pancakes until I knew that I had to find the recipe and give them a try. I have to say that they are one of the best pancakes I have ever eaten and anyone in my family that ate them agreed with me. 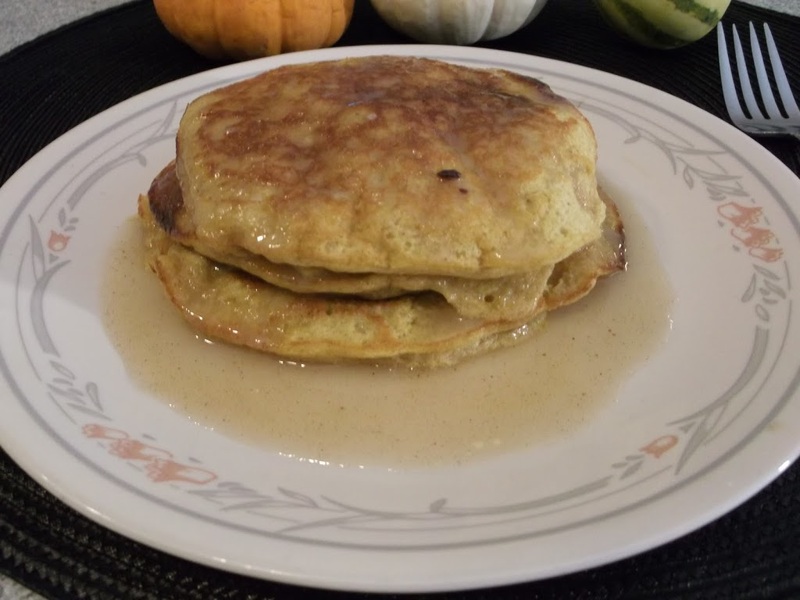 The pumpkin and the cinnamon are a great combination in these pancakes which make them fantastic. Who knew pumpkin would taste so wonderful in a pancake. I served the pumpkin pancakes with syrup that is called the absolute best pancake syrup which also has a little bit of cinnamon in it. (I am not sure where the recipe came from for the syrup). Yum, what a great combination this made. I am sure that I will be serving these pumpkin pancakes for a long time to come. So thank you Blonde Duck for leaving me that comment and putting pumpkin pancakes in my head. I am so glad that I tried them! Also I would recommend visiting aduckinherpond.com, I am sure you will leave her blog with a smile on your face. Sift together flour, sugar, baking powder, salt, and cinnamon. Combine milk, yolks, pumpkin, and butter. Add to dry ingredients, stirring just until flour is moistened. Fold in egg whites. Use approximately 1/3 cup batter for each pancake. Makes 8. Bring butter, sugar, buttermilk, vanilla extract, corn syrup, and cinnamon to a simmer in a large saucepan over medium-high heat. Once simmering, whisk in baking soda, and cook for 10 seconds before removing from heat. Serve warm. (Make sure you have a large enough saucepan, because the baking soda will cause the syrup to foam up). I love pumpkin pancakes! They look wonderful and your syrup sounds fantastic. This stack of pancakes look delicious! Homemade pancakes with a homemade syrup – what could be a better breakfast than that? The pancakes sound delectable! Especially with the cinnamon syrup! Almost like dessert for breakfast. what nice and delicious pancakes! !